Thanks to @taffyjock81 on Twitter for this gem. Back in 2015, ITV news trumpeted the launch of the first ever “quit shop” in Wales. Its unique selling point was quite interesting (emphasis mine). Wales’s first quit smoking shop has opened its doors in Cwmbran. 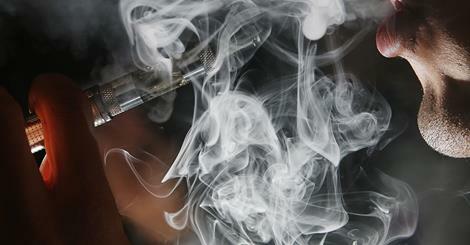 It aims to help people quit smoking altogether, rather than simply switching to e-cigarettes. One thing becomes clear when talking to public health experts about smoking: It’s hard to imagine a product that’s more dangerous than cigarettes. Cigarette smoking and other tobacco use kills roughly six million people per year. Of those, more than half a million are nonsmokers exposed to secondhand smoke, according to the World Health Organization (WHO). In his op-ed (“Congress, don’t help Big Tobacco peddle candy-flavored wares to kids,” March 26), Matthew Myers of the Campaign for Tobacco-Free Kids argues that the current FDA regulations regarding electronic cigarettes do not impede the ability of companies to put truly safer products on the market to compete with conventional tobacco cigarettes. Plans to allow prisoners to smoke e-cigarettes have won unanimous backing from Island politicians. A Special edition “New Zealand Issue” from us! There’s been no sympathy for smokers or the retailers who sell cigarettes. Harsh measures to stub out smoking means just 15% of New Zealanders still smoke. Sales of tobacco have continued to drop on average by 5% per year. But, academics have warned that New Zealand will still not achieve its Smokefree goal of less than 5% smoking by 2025 unless something radical is done. The United States is a world leader in innovation. But when it comes to ensuring smokers have the maximum possible access to new devices and products that will help them quit and save their lives the U.S. is found tragically wanting. Is vaping hazardous to your health? Desperate to stop smoking cigarettes, Mike Settembre decided to give vaping a try. For the Royal Palm Beach locksmith, Marlboro Country was a prison he could not have escaped without electronic cigarettes. In five years, Settembre has decreased his nicotine intake by 75 percent and figures he is spending about one-fourth the money in getting his nicotine these days. Vapers in Power is a single issue party. Our only concern is to protect the freedom of vapers to buy the products they need, and to use them without undue restriction. Where we can we’ll help out anyone else who’s fighting to restore our diminishing freedoms, but we do not, and will not, take a position on most political issues. The FDA on January 23 published a proposed smokeless tobacco (ST) regulation that would require a radical reduction in levels of N-nitrosonornicotine (NNN), a tobacco-specific nitrosamine. I documented (here) that the rule is based on erroneous calculations of ST risks; others have since raised additional concerns.